Keeping with the original TOMS logo and modifying it slightly to incorporate their new ventures. A place to start brainstorming the message, copy, tagline, and overall goals of the campaign. The beginning brainstorm of the overall look & feel we would like to achieve throughout the campaign. 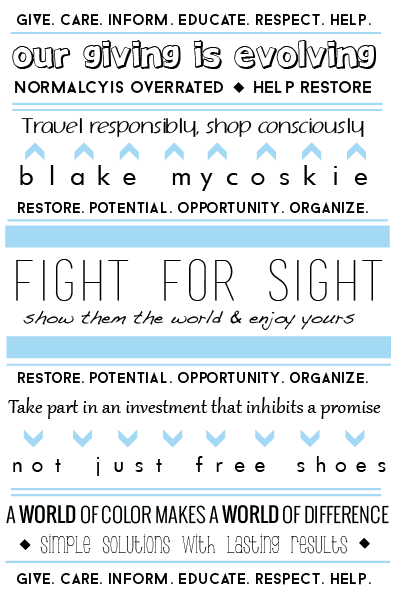 A card to be placed into the purchased sunglass case. This would inform the buyer on where their money is going and who it is benefitting. This concept design would be placed in and around a mobile truck that would drive around the SoCal area. 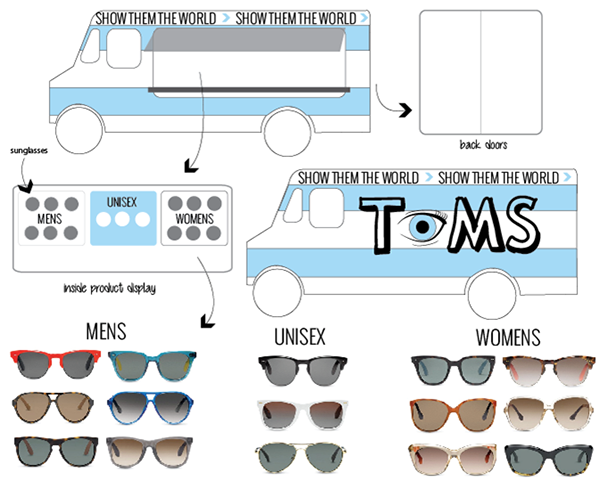 It would bring awareness to TOMS sunglass line as well as their One-for-One initiative. 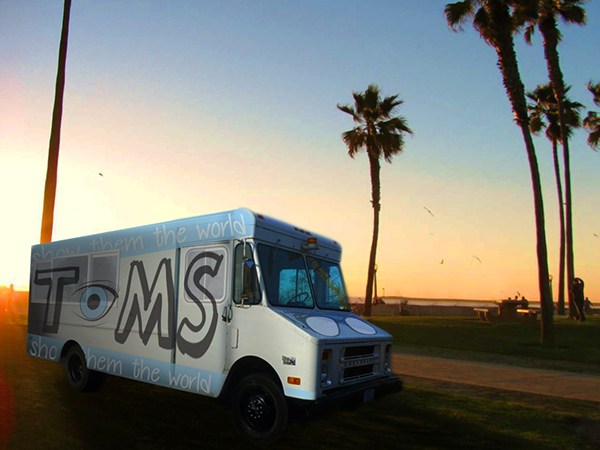 This is a mockup of what the TOMS sunglasses truck would look like cruisin' around SoCal. This is a print ad for a magazine that would have a pinwheel showing through the sunglasses. 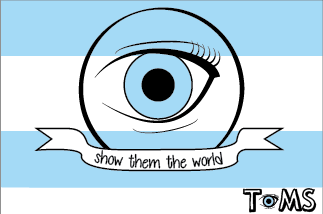 The pinwheel is an infographic that explains what TOMS does to help people who need glasses, to see eye doctors, surgery, etc. 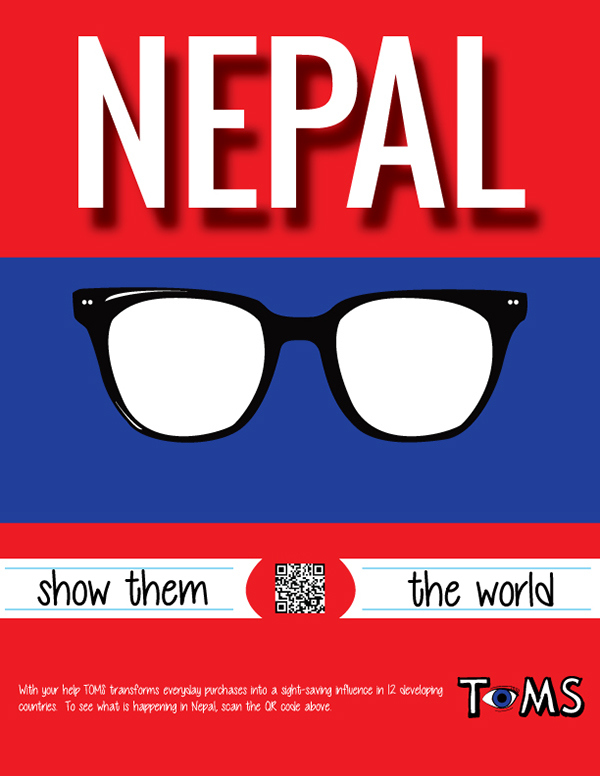 The QR code links to a video specifically showing Nepal and the work they are doing there. 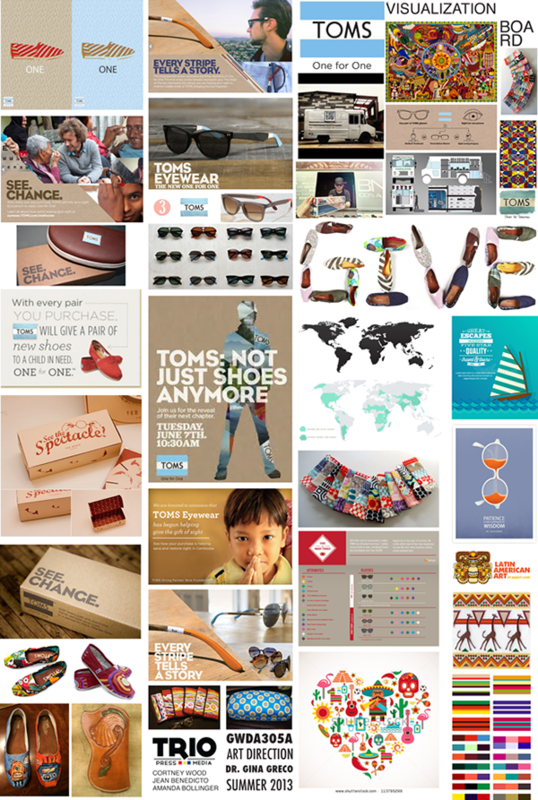 The background colors are those of their flag, but in the stripe pattern TOMS is known for. 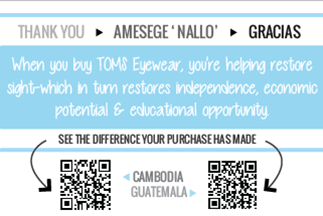 This was for TOMS One for One Sight campaign to bring awareness to the TOMS sunglasses line.